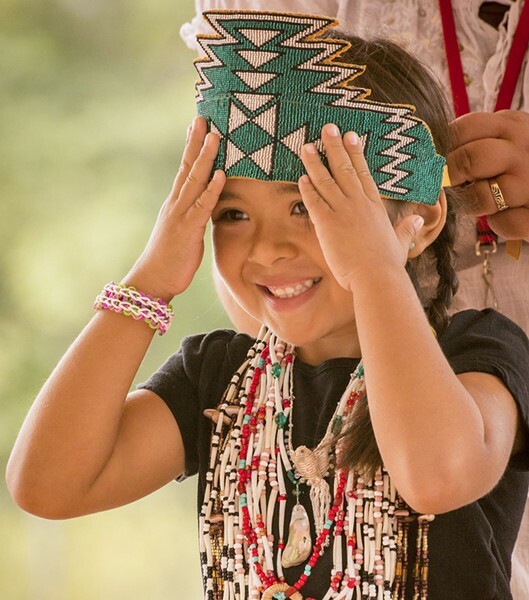 Dakotarose Scott, 5, of Klamath, adjusts her crown. 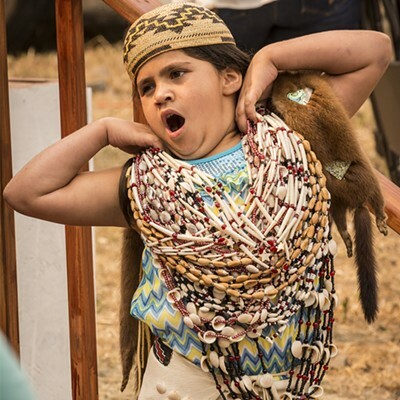 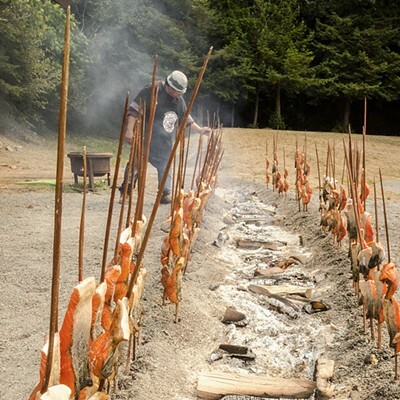 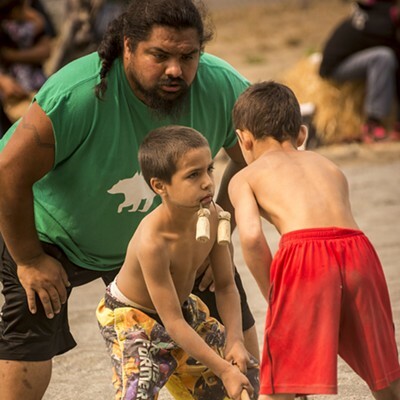 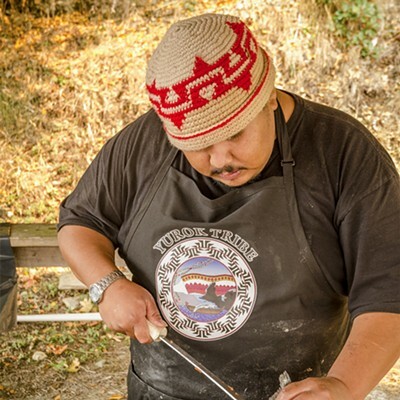 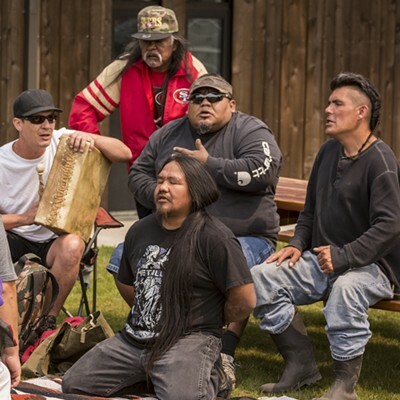 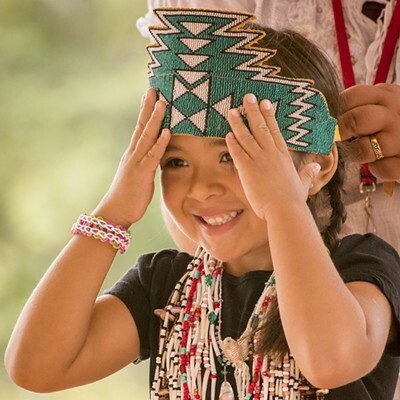 As the morning fog burned off, revealing light smoke drifting overhead from inland fires, a diverse crowd gathered at the Yurok Tribe’s 53rd annual Klamath Salmon Festival on Saturday, Aug. 22. 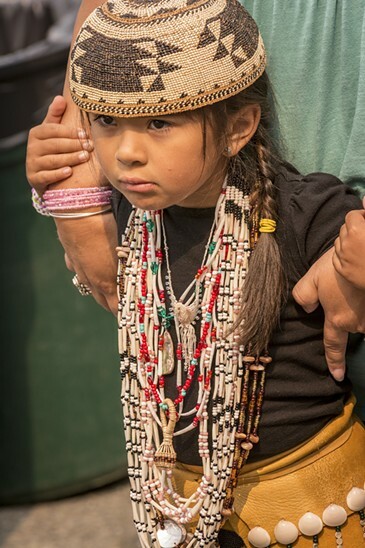 The morning started with a veterans' breakfast and parade, followed by the announcement of the winners of the Noo-rey-o-won-ee (beautiful girl inside and out) and Keet-ko (strong/able boy) contests, who were honored for their contributions to the community. 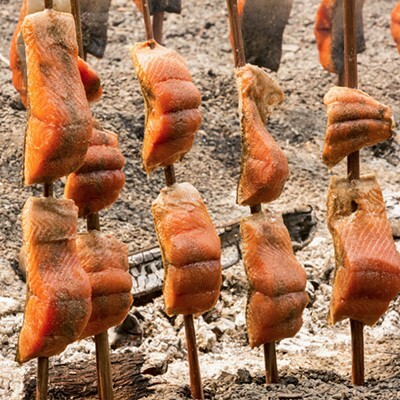 Around noon, the smoke and smell of barbecued salmon over cooking fires created a long line for the traditional feast. 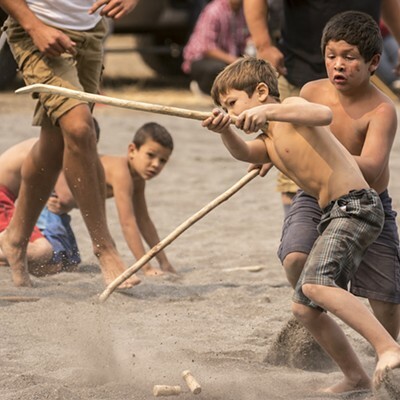 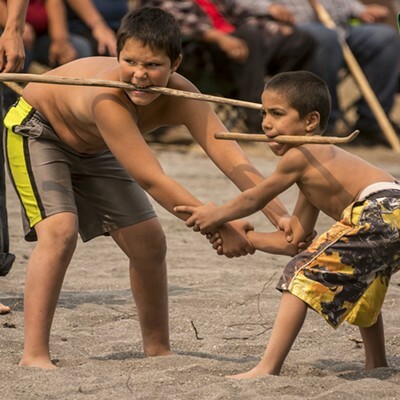 The stick game tournament started with the 7-, 8- and 9-year-old bracket, with players attempting to throw the “tossel” toward their “up river” or “down river” end line on the field. 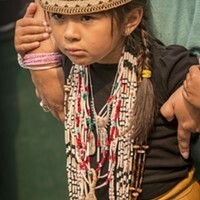 Live music, food and vendor booths, and a car show kept the attendees busy throughout the afternoon.